The American Folk Festival (AFF) is banking on one of Maine's strongest industries to help them raise money this year. 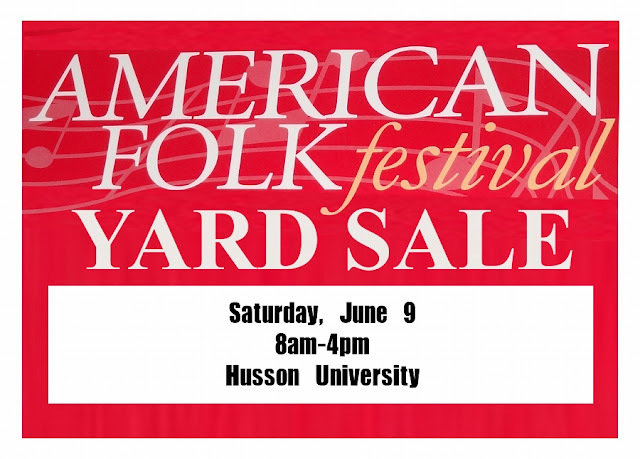 The first annual AFF yard sale is going to be held Saturday, June 9 from 8AM to 4PM at Husson University. Donations of items for sale can be dropped off Saturday, June 2nd (8am-2pm) and Monday, June 4th thru Friday, June 8th (4pm-6pm) in the Husson University parking lot near the Husson Avenue entrance. So if you want to support the rummage brigade, check out their facebook page!